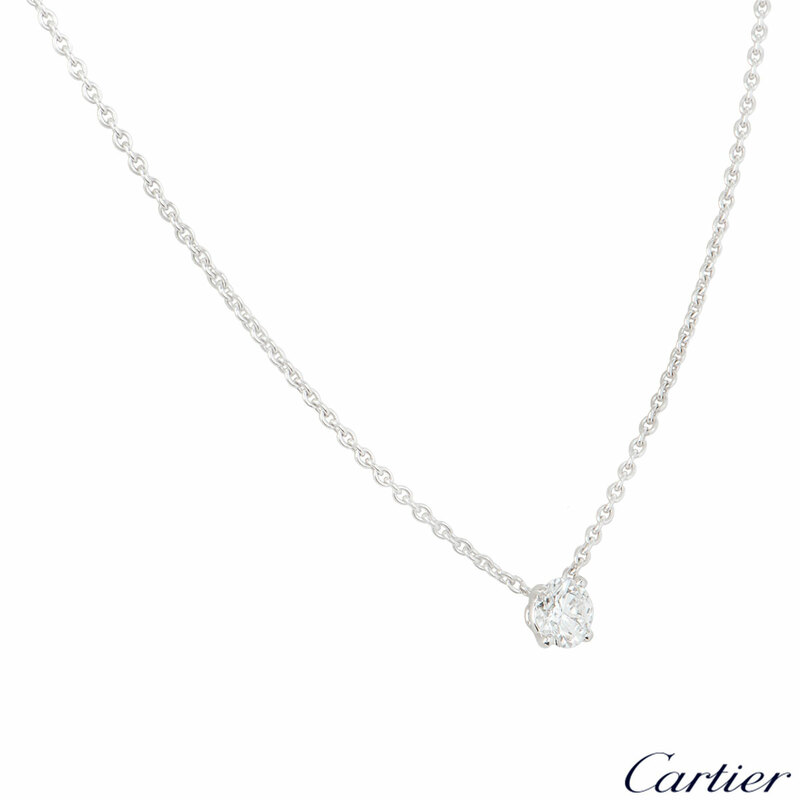 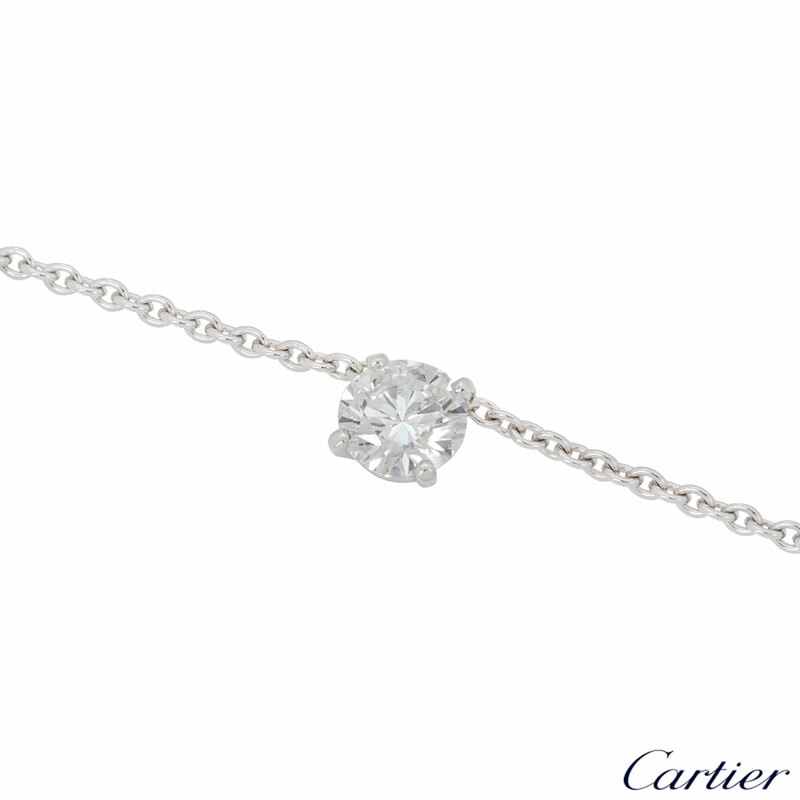 A beautiful 18k white gold diamond necklace by Cartier. 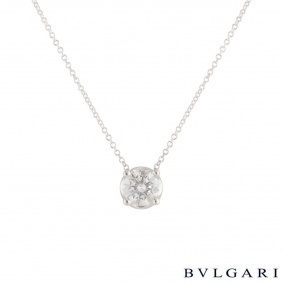 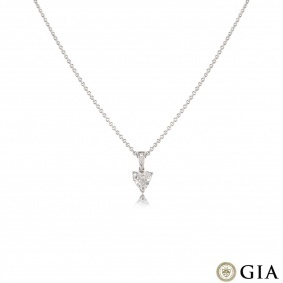 The necklace is set to the centre with a 0.80ct round brilliant cut diamond, E colour and VS2 in clarity. 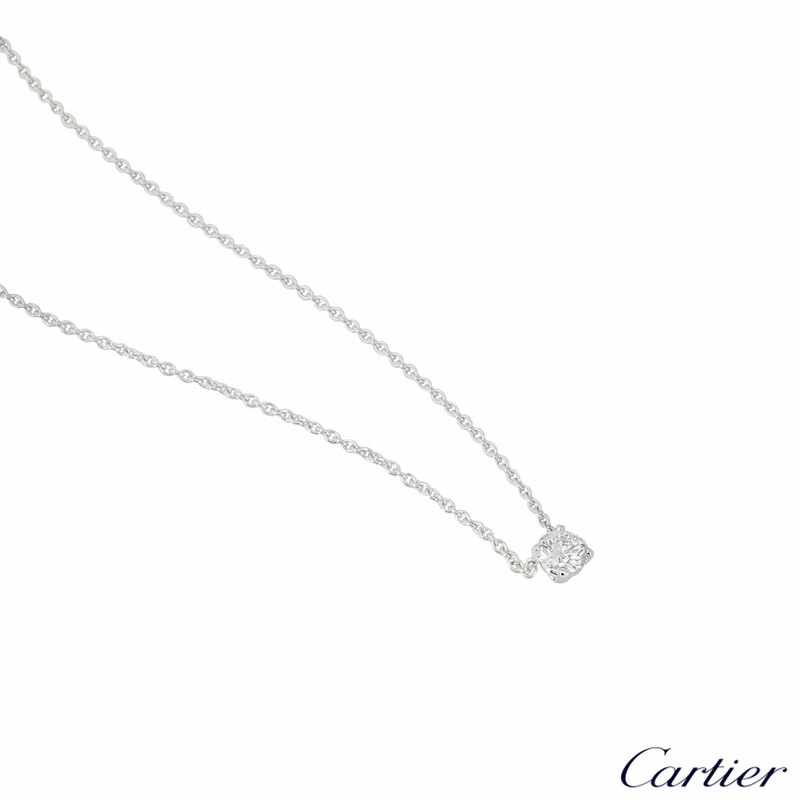 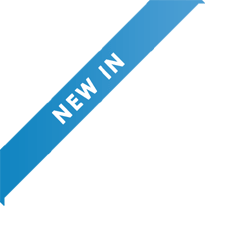 The necklace has a length of 16 inches and features a fishhook clasp with a gross weight of 4.70 grams. 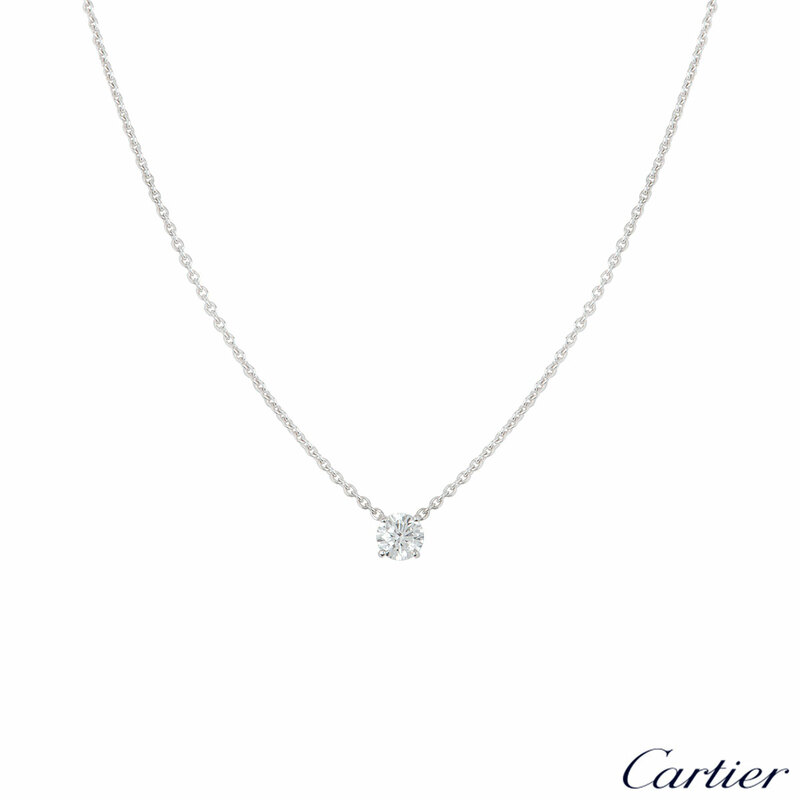 The necklace comes complete with a with a Cartier presentation box, Cartier sales receipt and valuation for insurance dated December 2005 with a HRD diamond report dated July 2005.